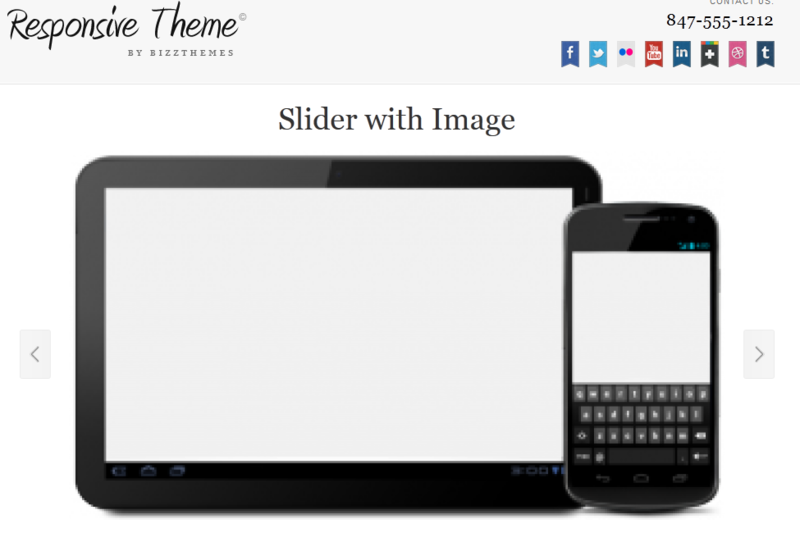 September 13th in Responsive Themes by Wordpress Jedi . 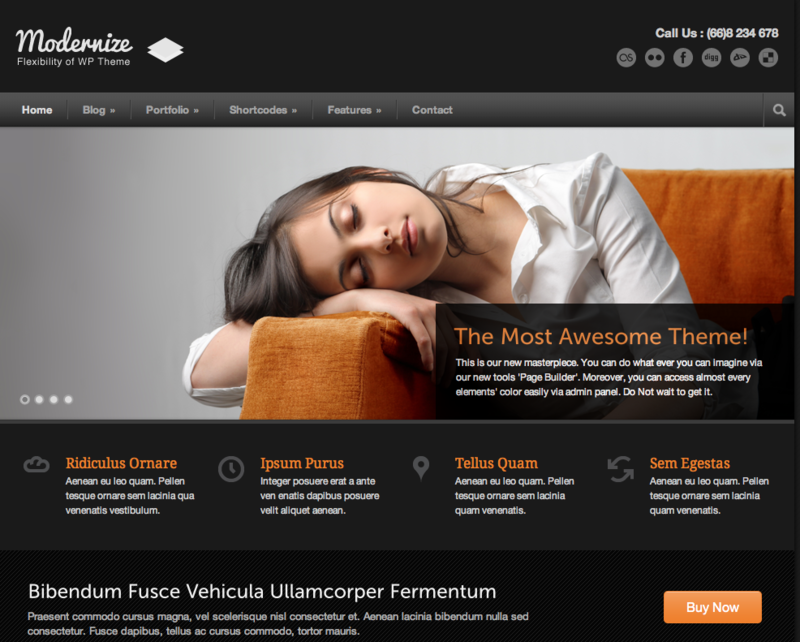 Modernize: a super flexible theme with unlimited colors, 15 background patterns, and over 350 fonts. It has a drag & drop page builder. It is responsive too. 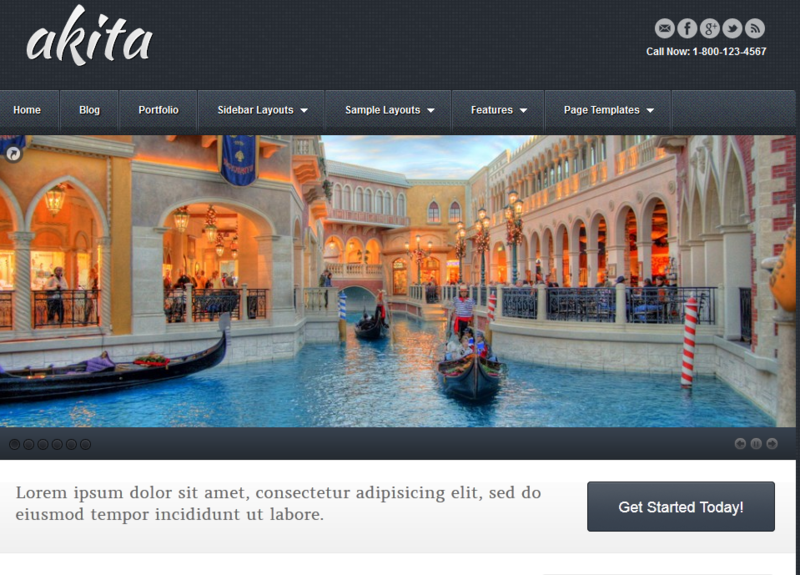 Akita: an elegant HTML5 theme for your business website. It has a tableless design too. It lets you target your tablet visitors more effectively. ProMotion: developed for those of you who are looking for a creative or flashy theme for your business. It works great for product promotion and business sites. It has a responsive layout and unbranded options. 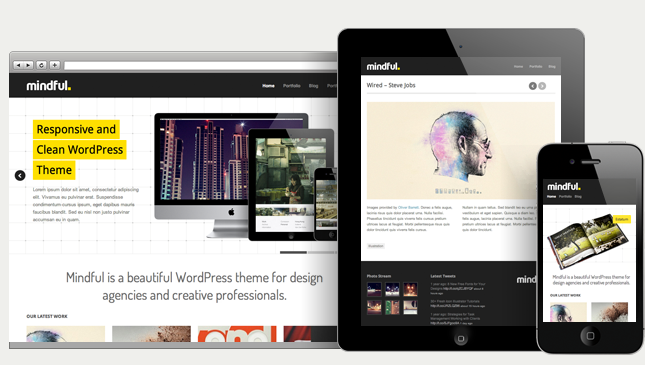 Mindful: a good looking theme for design agencies and creative businesses. It is easy to customize. You get a TouchSwipe slideshow and a custom post type for portfolio management. Google Web fonts are integrated into this theme as well. 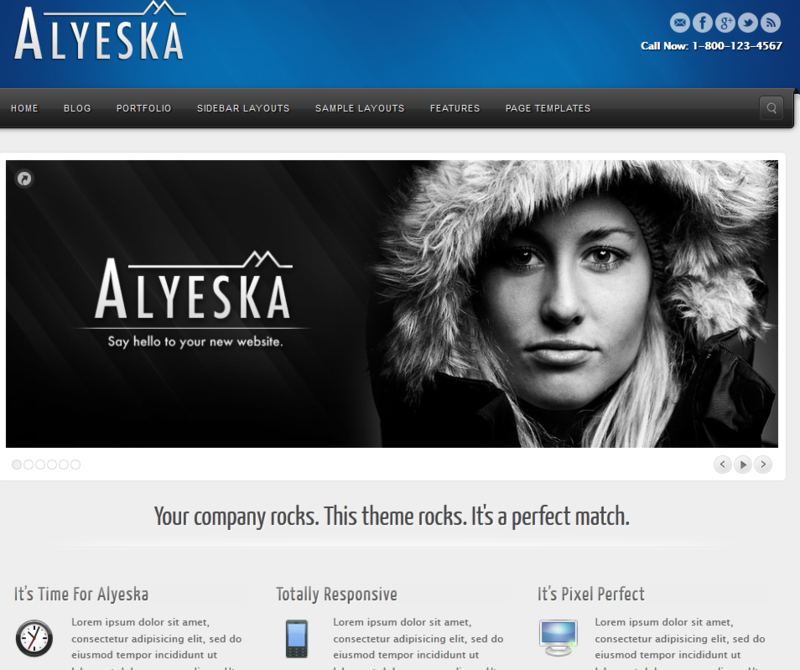 Alyeska: an elegant HTML5 theme for business sites. It has a responsive design and plenty of options for you to play with. Office: has a professional design and 7 custom post types. The homepage modules can be handled via drag & drop. You get unlimited color options too. 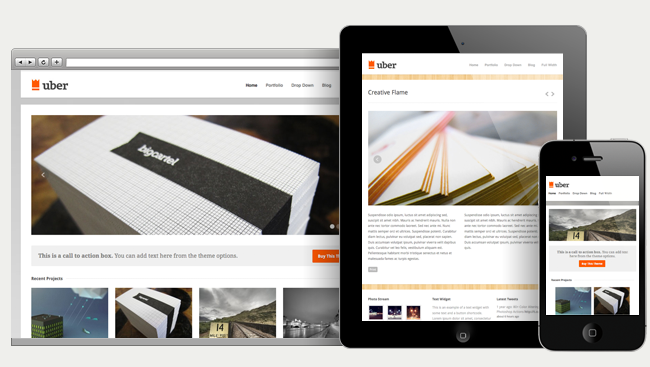 Responsive theme: a clean but mobile friendly theme for WordPress. It is coded in HTML5. You get custom templates, 9 color styles and a flexible slider. 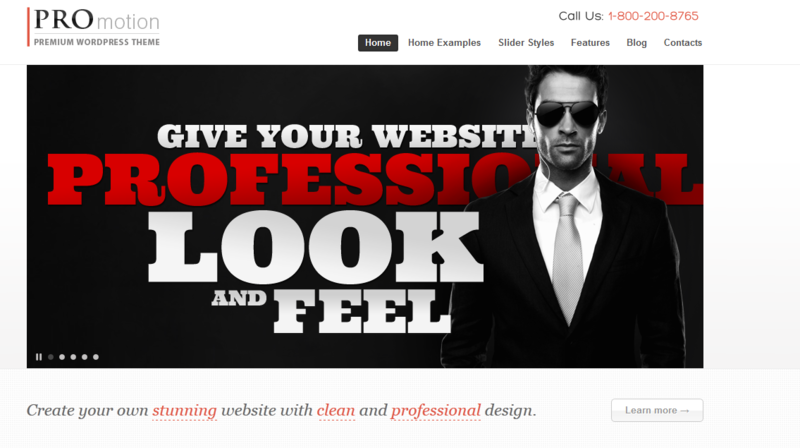 Swagger: a highly customizable theme you can use for business or other types of websites. It is based on the Theme Blvd framework. 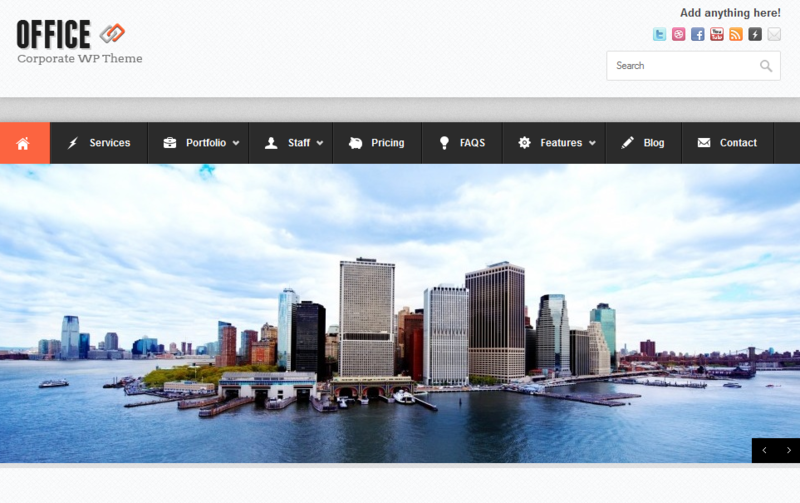 6 sidebar layouts and 5 custom widgets are included. 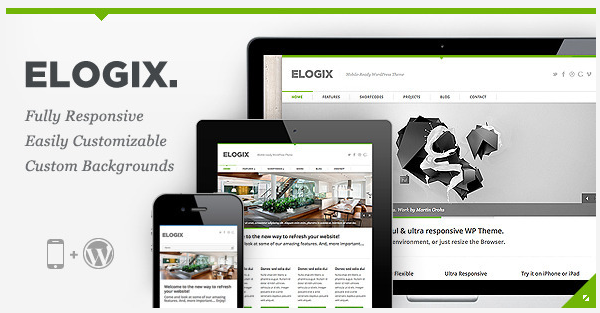 ELOGIX: a fully responsive theme that works on your iPhone, iPad, and other tablets. You can use this for your blog or business website. It supports custom backgrounds. Uber: a good looking business and portfolio theme for freelancers, photographers, design firms, and creative individuals. Which one of these responsive designs are you impressed with the most?